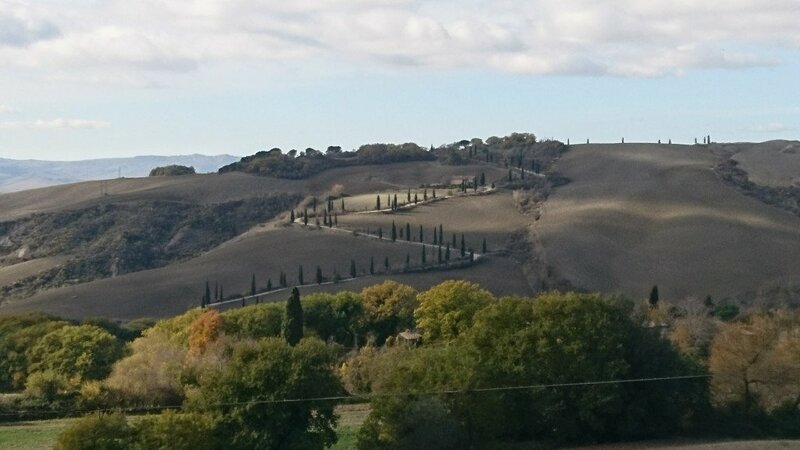 Based in the town of Chianciano Terme, on this single-centre walking holiday youll experience archetypal Tuscany: stunning timeless landscapes, delicious rustic cuisine, friendly local people and, of course, interesting walking routes. The Agriturismo Pietriccia is a wonderful place sitting across a small valley from the old town of Chianciano, rewarding you with wonderful views. The simple hotel has large rooms with balconies or terraces. You will be given a warm welcome by the owner Stefano, who is extremely passionate about the produce of the local area and the nature. The agriturismo has a lovely pool and terrace a small garden area with a shady area. The food is superb traditional cuisine, and 65% of the produce is grown or reared on site. British Airways Heathrow to Rome Fiumicino 07:30/10:30 then rail Rome Termini to Chiusi 13:00/14:49 and transfer to hotel 25 minutes. Return: Transfer to Chiusi station 25 minutes then rail Chiusi to Rome Termini 10:54/12:48 then British Airways Rome Fiumicino to Heathrow 17:25/19:05. Take the train from Rome to Chiusi-Chianciano, where you will be met and transferred to your hotel. Perhaps enjoy a stroll to the old town, before your evening briefing by the owner, Stefano, and the first of many superb dinners. You'll start this morning with a guided walk passing the different producers that make this a special part of the world, through fruit orchards and vineyards, starting at a local oil mill, then visiting the Cinta Senese pigs followed by an area set up to allow truffles to grow and finishing off in Chianciano Vecchia, with great views of the Valdichiana before enjoying wine and local produce tasting in a charming cantina in the old town. A short transfer takes you to the charming village of Castiglioncello; once abandoned it is now restored with a hotel and cafe, and the interesting Etruscan burial site. From the village you follow a trail through the forest to pass wonderful viewpoints of the area, dropping down to Poggio Pietraporciana, a Nazi gun point in the war. Continuing through the Pietraporciana Nature Reserve you pass the Rifugio Pietraporciana, once owned by the Marchesa of Val d'Orcia, Iris Origo, who during the war cordoned off this area to create a neutral zone, which the allies, Nazis and partisans all obeyed. From here, follow a path downhill through the forest to reach the beautiful Villa la Foce, the former residence of the noble Origo family and enjoy a drink at the Dopolavoro La Foce before a transfer back to the agriturismo. As you descend into the Valdichiana, a mix of quiet lanes and gravel tracks provide perfect views of the vineyards and over to Monte Rufeno. Passing pretty farmhouses you make your way to the small town of Montallese, and from here you pick up the Sentiero della Bonifica, a long-distance path between Chiusi and Arezzo. 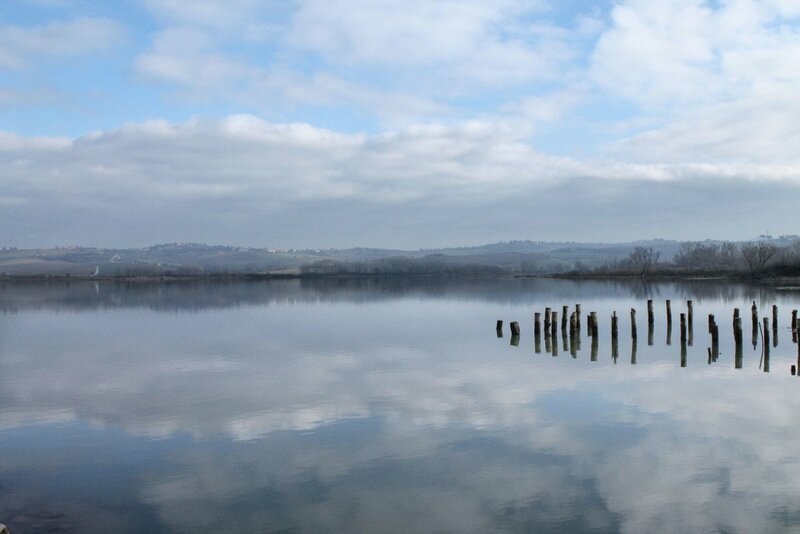 This leads you to the charming Lake Chiusi, where you can enjoy the birdlife and perhaps lunch at the lakeside restaurant. You will be transferred back to the hotel. This morning you have time to yourself, maybe walk into Chianciano Vecchia and visit the Etruscan Museum of Chianciano Terme, or use your voucher for the Theia Spa and relax in the healing waters or treat yourself to one of their many treatments. In the afternoon you begin your cookery class where you will learn classic Italian techniques and eat the meal you prepare for dinner. 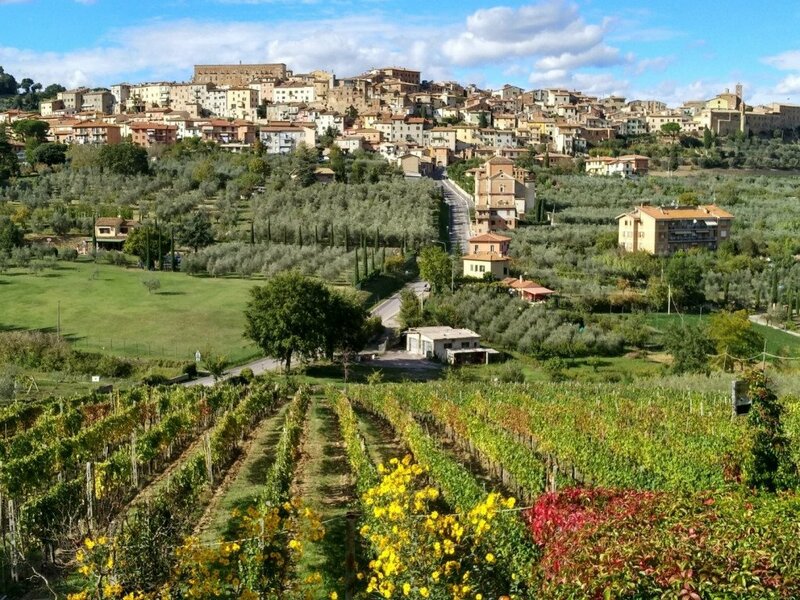 A short transfer out of Chianciano to start the walk to the wine town of Montepulciano, where you will be rewarded with stunning views across the Valdichiana. 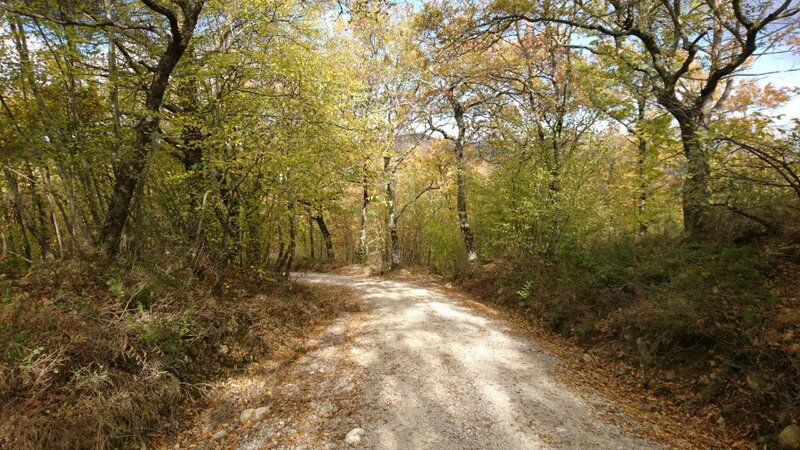 Follow a chestnut-laden track to meet the forest road, then detour to the Convento dei Cappucini (optional), before following a track around the vines and farmlands up to Montepulciano. You will be picked up here, but before this, take time to explore the town, which is full of wine bars and shops and has plenty of tasting opportunities. After a short transfer to Pienza, take time to explore the town, it is one of the cheese capitals of Italy, and a beautiful mediaeval historic centre. Perhaps pick up a sandwich filled with porchetta or a slab of rich and creamy pecorino cheese. 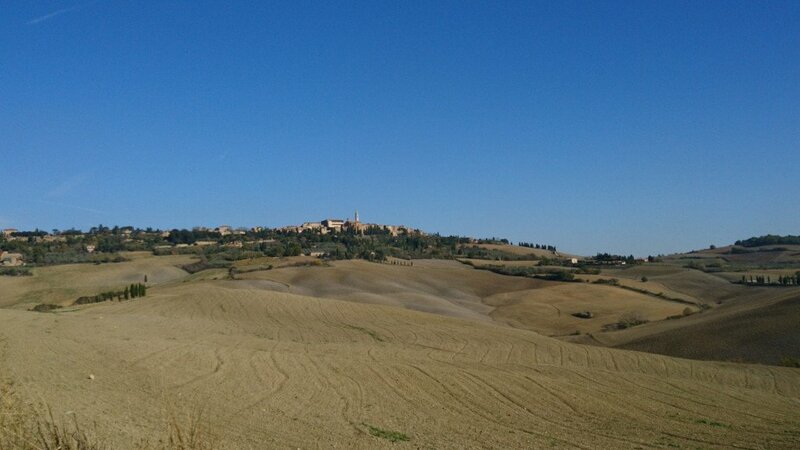 The walk takes you downhill from Pienza, crossing the stunning Val daOrcia. It is an easy walk following a well-marked trail, giving you the chance to take in the views of mediaeval towns, rolling hills and rows of cypress trees. You will reach Bagno Vignoni then follow the river Orcia before climbing up to the town passing the spring baths and the old mill, before arriving in the Roman town, with its large baths in the centre of town. Perhaps treat yourself to the hot waters of the Hotel Posta Marcucci, where the baths come with a view! We transfer you back to the hotel for your final night of Stefano's superb food. We take you back to the train station where you could possibly head to Florence or Rome for extra nights.